While many games let you buy items outright, Overwatch only offers items through Loot Boxes. You earn one each time you level up, but can also purchase them with real money if you want a certain item and need to speed up the process. But if you’re an Amazon Prime member, there’s a special gift waiting for you: anyone who’s part of the Twitch Prime service Everything You Need to Know About Twitch Prime Everything You Need to Know About Twitch Prime Twitch Prime is Twitch's new premium offering for streamers, and offered as part of your Amazon Prime subscription. But what is Twitch Prime and how will it impact Twitch? Read More can grab five Loot Boxes for free. This offer is only available until September 10 — after that, another free set will appear in October. Start by visiting the Twitch Prime Overwatch page. If you’re not already signed in, click the purple Sign In button in the top-right of the page. Sign into your Twitch account, then authorize a link to your Amazon account if you haven’t already. Amazon Prime members only, of course! After this, re-visit the page and you’ll see a code that you can enter into Blizzard’s redemption page. Sign into your Blizzard account (also used for Overwatch on PC) and enter the code to redeem your Loot Boxes. After that, if you play Overwatch on PC, simply pop open the game as normal and you’ll see your boxes waiting for you. For PS4 or Xbox One players, follow the steps to link your Blizzard account to your PSN or Xbox Live account, then your Loot Boxes will show up in-game. Hopefully you’ll get some good items in your Loot Boxes! Just got into Overwatch? Check out our tips for newcomers 7 Overwatch Tips for the Complete Beginner 7 Overwatch Tips for the Complete Beginner You've seen the gorgeous cinematic trailers on YouTube and you've decided to buy Overwatch. There's one problem, though: You don't have any idea how to play! Here's how. Read More . Did you know about this benefit of being an Amazon Prime member? Let us know what you got in your Loot Boxes down in the comments! 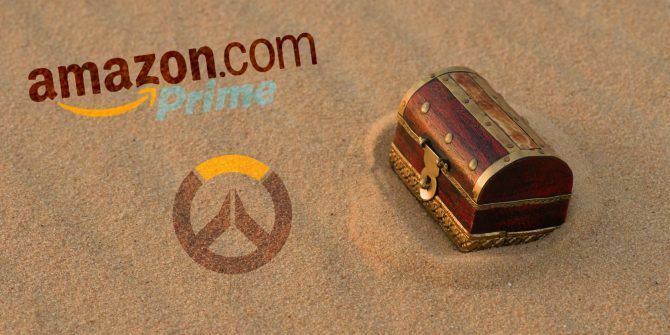 Explore more about: Amazon Prime, Overwatch.